What does my heart goes out to you mean? Doctor Mirione: Hello John. I’m Doctor Mirione. Bright, bright lights. Surprisingly noisy, isn’t it? The world has very little peace and quiet for the dying. And nearly dying. Doctor Mirione: The average survival time for catestrophic patents here is 12 hours. Nasty accident you had in that Volkswagen. Saw the car. Looks terrible. Terrible. John Callahan: What happened to the driver? Doctor Mirione: I can’t hear you. Talk louder? John Callahan: What happened to the driver? What happened to Dexter? Doctor Mirione: Oh Dexter Mortinski? He walked away with a few scratches. He was very very lucky. Jesus Christ. 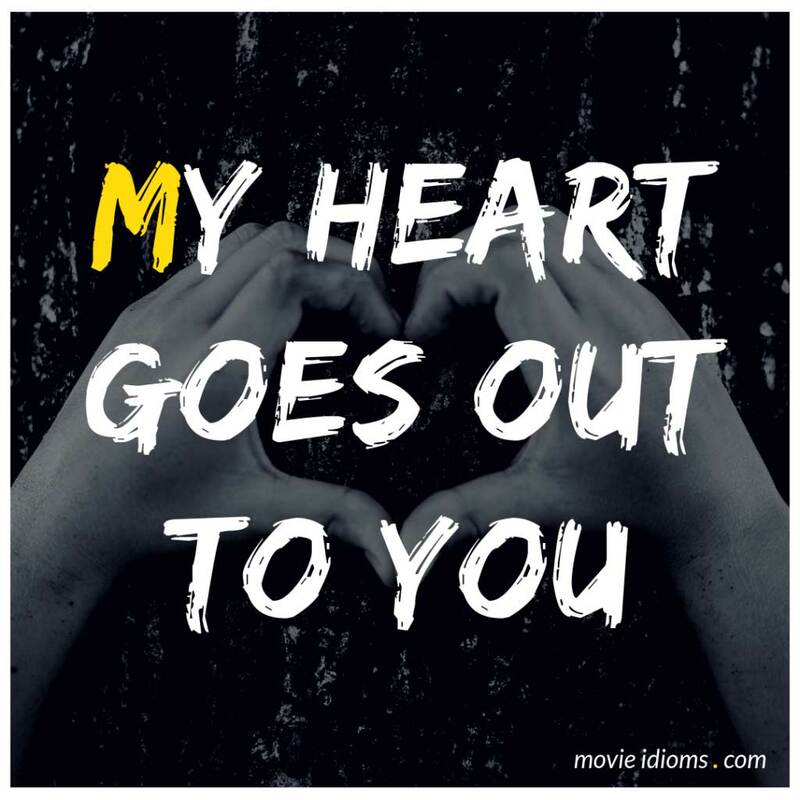 My heart really goes out to you. I mean, possibly paralyzed for life. Nice sunrise though. Frank Alexander: Isn’t it your picture in the newspapers? Didn’t I see you on the video this morning? Are you not the poor victim of this horrible new technique? Alex: Yes, sir! That’s exactly who I am and what I am, sir. A victim, sir! Frank Alexander: Then, by God, you’ve been sent here by providence! Tortured in prison, then thrown out to be tortured by the police. My heart goes out to you, poor, poor boy. Oh, you are not the first to come here in distress. The police are fond of bringing their victims to the outskirts of this village. But it is providential that you, who are also another kind of victim should come here. Frank Alexander: Oh, but you’re cold and shivering. Julian, draw a bath for this young man. Alex: Thank you very much, sir. God bless you, sir.